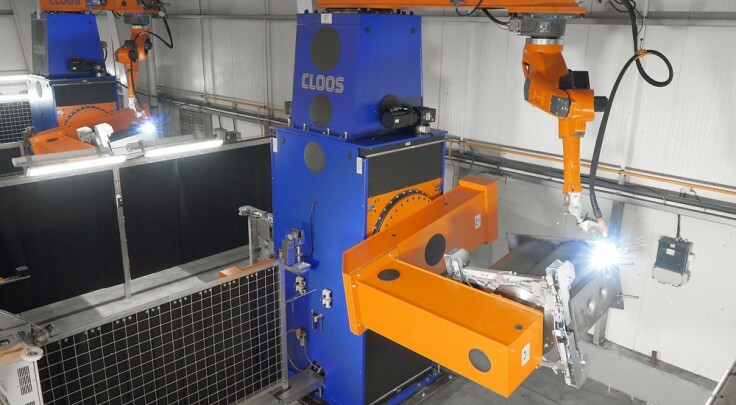 In 2015 Atmos commissioned two new "All in one” systems by CLOOS. 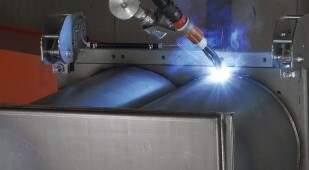 The heart of the identical systems is the QIROX QRC-350 welding robot. 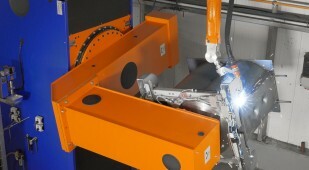 The C-shaped frame with rotating extension arm positions the robot overhead. 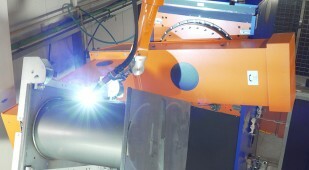 This increases the working envelope of the robot and facilitates welding of the complex boilers. The workpiece positioner with turning and swivelling movement and vertical stroke always brings the workpieces into the perfect welding position. The special feature of the QIROX "All in one” system is that workpiece positioner, robot and robot positioner become one. The individual components are mounted and aligned on a base plate. In addition, the electrics and mechanics for the machines are pre-installed in full, making assembly and maintenance work simple. The compact systems could be integrated into the production easily and space-saving. Their modular design makes it possible to add individual enhancements and upgrades at any time.